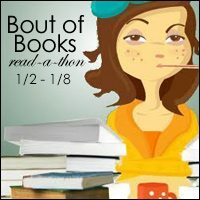 Bout of Books 18 concluded yesterday, and I’m counting my readathon a success! I was hoping to read two books from start to finish, and I did: The Hating Game by Sally Thorne and Thrice the Brinded Cat Hath Mew’d by Alan Bradley. (I also finished Crosstalk by Connie Willis.) I really enjoyed all three books I read this past week! Additionally, I wanted to participate in at least one Twitter chat, and I ended up doing both. So I’m very happy with my progress and will almost definitely be back for Bout of Books 19 in May. If you participated this time around, what did you read?